The I-TEAM has learned the Milwaukee VA refused to admit a dying veteran into their hospice care unit. Robert Laise had kidney disease and died six days after the VA turned him away. His family says it was never a question of when he was going to die, but how he died that upsets them. 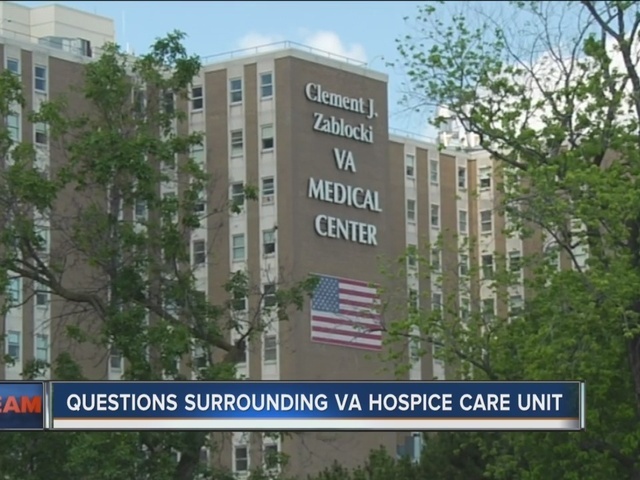 “Many of these people put their lives on the line for all of us and they’re not being treated as such when they go into the emergency room (at the Milwaukee VA),” Laise’s sister, Elizabeth Ryan said. Ryan is disappointed by what happened when she tried to admit her brother into the inpatient hospice program, also referred to as end of life treatment, in the palliative care unit. “The VA pretty much just kicked him out,” she said. According to internal medical notes obtained by the I-TEAM, Robert was denied care because of his “disruptive behavior”. The VA went onto say they were “not able to provide an inpatient hospice setting to address the patient’s needs”. Ryan says her brother was in pain and she believed current hospice care at home with a nurse visiting twice a week was not enough. "He wasn't being monitored with his medications properly,” she said. “He wasn't getting the comfort care that was needed." Ryan says end of life treatment inside the VA’s palliative care unit would have helped her brother die in peace, but documents show the VA didn’t refer Laise for a palliative care consultation. Instead, they sent him home. "Obviously when you brought this to our attention, there was enough concern raised that we decided that we need to look at this entire procedure from beginning to end,” Gary Kunich, a spokesperson for the Milwaukee VA said. Kunich says everyone involved in denying Laise’s care will be interviewed. The VA is also confirming a full internal review is now underway. "As a veteran to the family of a veteran, if they feel in any way that they were not treated with dignity and respect, then I apologize and we will fix that,” Kunich said. Ryan was eventually able to get her brother enrolled in another hospice program outside the VA, but says it took several days to stabilize him and make him comfortable before he passed. “It’s a horrible death when you die from end stage kidney disease,” Ryan said. Ryan hopes her story will force the VA to take a closer look at their policies. “They should have known they needed to get him medicated properly,” Ryan said. We told Kunich that Ryan and other veterans we've heard from believe they are receiving poor health care from the Milwaukee VA. The Milwaukee VA says it believes it has never denied a patient care based solely on their “behavior” or “attitude,” which is why a full review to see whether proper procedures were followed is taking place. We asked Don Weir, a social worker and palliative care coordinator, about space and availability for patients needing end of life care. Ryan claimed there were several open beds on the day she took her brother into the hospital. Weir did say there is no wait list for admission into palliative care unit, and the only issue they have experienced is private rooms filling up faster compared to shared inpatient rooms. The palliative care unit has 23 beds. Weir says the unit is also staffed 24 hours a day with nurses, aides, and other professionals who provide around the clock care to veterans. The review into Laise’s treatment and denial into the palliative care unit at the VA could take 3-4 weeks to complete. You can read the VA's palliative care program policies here . This is a developing story and we’ll bring you updates as they become available.